The free to play MMORPG League of Angels II has been making waves since it’s released in April. With launches in North America, Europe, and Asia-Pacific, the game has been a big hit with gamers around the world. Expanding on developer GTArcade’s motto of “Sharing Simple Joy,” LoA2 wants players to share their joy with the world! Join in on the fun and you can win big! College is usually an exciting time for young adults, full of new experiences and self-discovery. We are eager to hear about your stories on campus as well as your heroic deeds in the land of the Angels! How do you balance your studies while upholding justice and saving Sapphire from the clutches of evil? Or just give an introduction to your college, including on-campus video, as well as one for LoA2. Upload your creations and win up to $10,000! 1.Must currently be a College/University student or graduate (with access to your former college). 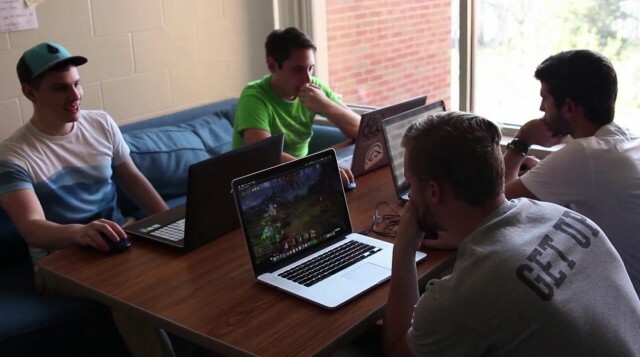 2.Video content must include parts of your College campus and “League of Angels II”. First video to exceed 1 million views: $10,000 Prize; 1 Winner. First 2 videos to exceed 500,000 views: $5,000 Prize each; 2 Winners. First 5 videos to exceed 100,000 views: $1,000 Prize each; 5 Winners. Videos that exceed 10,000 views: Great in-game rewards; All qualified participants. The LoA2 developers will select their favorite video based on storytelling, music, number of participating students and other criteria for a special Developer’s Choice prize. The chosen winner will receive $2,000! 1.Upload your video to a mainstream video hosting site (such as Youtube). 2.Send an email to “loa2.campus@gmail.com” with the title “LoA2-Your name-Your University” and include a link to your video. 3.When your video reaches the required view count, send a screenshot showing the view count to “loa2.campus@gmail.com” and we will verify the views and time. Remember, the time when you email us will be counted, so do it as soon as possible! 4.Contest ends June 20, 2016. Do you admire the heroic spirit of Theresa? Or the cuteness of our sweet Flora? Do you prefer a mysterious figure like Penn or are you attracted to the ruthlessness of Lucas? Well now is your chance to tell (and show!) the world who your favorite LoA2 character is! 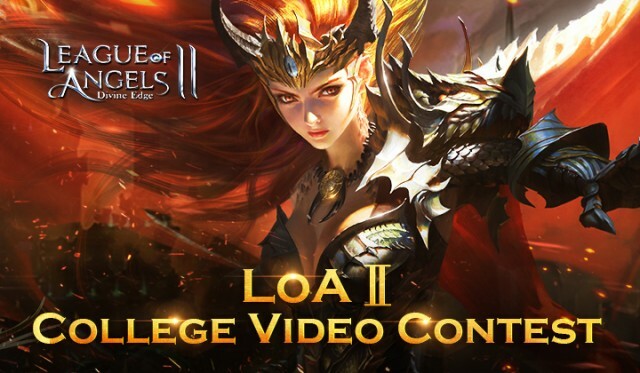 Join the first official LoA2 Cosplay contest and win a great prize! 1.Cosplay as a League of Angels II character of your choice, and email “loa2.campus@gmail.com” with the subject “LoA2-Cosplay-Your name” and include a photo of your cosplay. 2.Voting will be held on the official LoA2 Facebook page after the entry period as ended. The 3 contestants with the most votes will be declared the winners! 3.Voting will end on July 20, 2016. Each of the winners will receive one ticket to PAX DEV 2016 (student ticket). PAX is a one of the world’s largest video game expos that will be held from Aug. 31 to Sept. 1 in Seattle, Washington. The legend of the Angels is waiting for you to write! Come share your creations, huge prizes are up for the taking so don’t delay!